Convergent’s proprietary Integrated Voice Response (IVR) system includes IVR, outbound dialer, name synthesis, call management and monitoring technology to form a comprehensive, integrated software-based IVR solution tightly integrated with industry-leading Ontario Systems’ FACS collections system. Our IVR is a completely software/VoIP based advanced contact solution that enables self-service automated call handling and messaging to clients as part of an overall contact strategy. The system is able to handle automated inbound and outbound calls, allowing users to interact with Convergent’s data systems, including automated options to self-serve without the need for an agent. For outbound calls where no contact is made, the system is able to leave personalized voicemails. 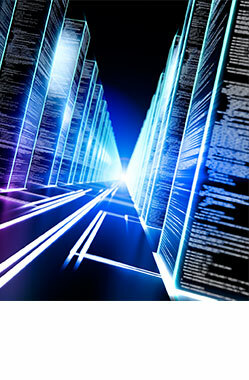 Our system provides substantial telecom cost savings and efficiencies. The IVR manages call flow using open standards such as VXML 2.1 and protocols including SIP 711, SIP 729, and H.323. Convergent's IVR technology provides customized routing to any provider or client through its session border controllers and system integration via SIP messaging. If TDM is required, Convergent can also route call traffic via session gateways and supports CTI integration for passing attribute data. Our software/SIP-based telecom/IVR architecture is ideal for integration with most telephony platforms. If the customer chooses to route from their VoIP servers, then the customer system could be utilized for call routing to the Convergent SBCs. Likewise any call routing back to the customer could initiate from Convergent’s SIP architecture. Convergent supports SIP Trunking via point to point VPN or IPSEC over the internet. Voice Broadcasting is becoming one of the most efficient and economical means of communication available today. Our voice broadcast service calls numbers from a computer managed list and plays a pre-recorded message to the call recipient or answering machine with advanced text to speech capability. Our call center can place one call or millions of calls using the most comprehensive and flexible programs in the market today.